Characters searching for their identity are nothing new to the superhero genre, but that dusty plot can blossom into something fresh and exciting when the central figure doesn’t fit the traditional superhero mold. For the majority of superheroes, the basic shape of that mold is a straight white male, and changing any of those elements is an easy way to make a new superhero project stand out, especially when a creative team truly commits to depicting the identity from a multi-faceted perspective. Comics like DC’s Midnighter (starring a gay man) and Marvel’s Ms. Marvel (starring a Pakistani-American Muslim teen girl) have shown the value of more diverse character representations in superhero narratives. But there’s still a long way to go before these heroes have anywhere near the same amount of exposure as the straight white men that dominate the genre both on and off the comics page. White women are just starting to break into headlining roles in superhero projects outside of comics, and 2015 has been a turning point year for white female heroes on television. ABC’s Agent Carter kicked the year off with a plot that directly addressed gender inequality. This fall TV season features the debuts of two new female-led series: CBS’ Supergirl and Netflix’s Jessica Jones, which focus on two heroines with very different attitude and worldviews. These are all high-profile live-action series released via major outlets, but there’s another major female superhero debut that has flown under the radar. Over on CW Seed, DC Comics heroine Mari McCabe is breaking ground as the first black female character to headline her own superhero franchise, starring in the animated Arrowverse spin-off Vixen. Mari’s origin story unfolds over the course of Vixen’s first season, providing all the necessary background information at a rapid pace because the writers only have six episodes, running approximately five minutes each. The brisk half-hour serves as a bold introduction to the character, starting with a scene that establishes the show’s place in the Arrowverse by pitting Mari (Megalyn Echikunwoke) against Arrow (Stephen Amell) and The Flash (Grant Gustin) in a dynamic rooftop fight. Featuring direction by DC Animated veteran James Tucker, the thrilling start to the series highlights Mari’s animal-based superpowers, which are derived from a mystical totem that connects her to the ase (life force) of the animal kingdom and allows her to tap into the abilities of its creatures. Mari can outrun The Flash with the speed of a cheetah, leap across buildings with the grace of a cat, and camouflage herself like a chameleon, abilities given extra visual punch by the purple aura that emanates from the totem and Mari’s shifting shadows, both of which take the shape of whatever animal she’s summoned. The purple aura is something carried over from Mari’s appearances on Cartoon Network’s Justice League Unlimited (where James Tucker served as producer). The addition of the changing shadows is an especially clever way of using the flexibility of animation to heighten Vixen’s power. The opening fight sequence of Vixen would break the budget of a live-action network TV show, and it’s a wise choice to begin the series by showcasing the benefits of telling Mari’s story through animation. Vixen represents a number of firsts for the Arrowverse: It’s the first animated series, the first project headlined by a woman or person of color, the first to feature a central hero powered by mysticism, and the first to take place in a real-world setting: Detroit. 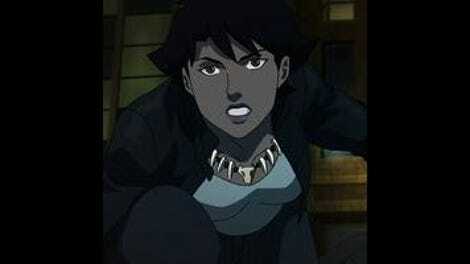 Mari’s powers are directly tied to African mythology, and the show doesn’t shy away from her African background. The first season is all about Mari, the foster daughter of two loving white parents, learning about her African heritage and drawing power from it. Vixen has a dramatically different angle than Arrow and The Flash because of Mari’s unique circumstances. The first four episodes of the season have more in common with the other Arrowverse series as they establish a dangerous urban environment and the family dynamic between Mari and her foster father (reminiscent of Barry and Joe’s relationship on The Flash), but the last two chapters mark a significant shift as the villainous Kuasa (Anika Noni Rose) reveals herself to Mari and whisks her away to a decimated African village for a history lesson. The season-long story by Wendy Mericle, Keto Shimizu, Brian Ford Sullivan, and Lauren Certo starts by emphasizing the grit and intensity of the lead character, and after the opening fight scene with Arrow and The Flash, the writers flash back to show Mari in a jail cell three days prior, serving time for stabbing a job interviewer that made unwelcome sexual advances. That aggression is reflected in Echikunwoke’s voice work, revealing a young woman angry at the world because she doesn’t understand her place in it. Voice director Wes Gleason has assembled an excellent cast for the series, choosing actors who can project very specific personalities in their voices. The warmth and compassion of Neil Flynn’s voice quickly cements Chuck’s role as the supportive foster father, and Anika Noni Rose brings an air of superiority and entitlement to Kuasa that makes her a sharp contrast to Mari. The writers have a lot of ground to cover very quickly in this first season, but they’re gifted with a cast that can bring emotional depth to the waves of exposition, keeping the story grounded as more fantastic elements are incorporated. Unfortunately, Vixen’s status as an animated webseries is also the thing that prevents it from having a larger cultural impact. Vixen hasn’t had the kind of publicity push that accompanied Agent Carter, Supergirl, or Jessica Jones, and the entire first season of Mari’s story is shorter than one episode of any of those other shows. The worst thing about Vixen is that it’s so damn short, essentially doing the work of a pilot over the course of six segments. A pilot typically leads to another episode in a week (or immediately, in the case of some streaming services), but there’s been no confirmation of a second season of Vixen. And if there are future seasons, how long will viewers have to wait between each 30-minute block? This origin story ends right when Mari’s superhero life takes off, and these six episodes introduce a concept that could easily sustain a longer season if CW Seed is willing to commit. 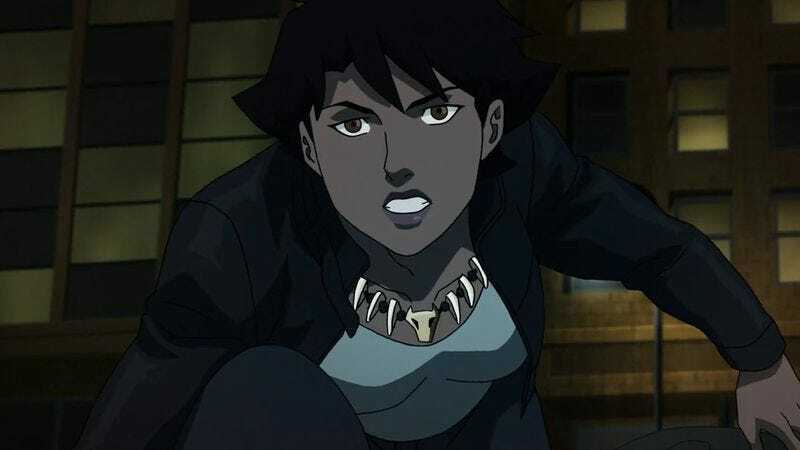 Ideally, the producers of Arrow, The Flash, or the upcoming Legends Of Tomorrow won’t ignore Vixen’s introduction and find a way to bring her into the live-action Arrowverse, a move that may already in the cards considering the casting of Echikunwoke, an actress with plenty of on-camera experience. All of the main voice actors from this first season could feasibly play their characters in live action, which makes the prospect of a live-action Vixen crossover especially appealing. Mari McCabe could use the profile boost, and seeing her in live-action would be a huge help. As a black woman, Mari is the type of character that has been grossly underrepresented in superhero stories, and while it’s refreshing to see her in the spotlight with Vixen, the wattage of that bulb still pales in comparison to the other superheroes on television.